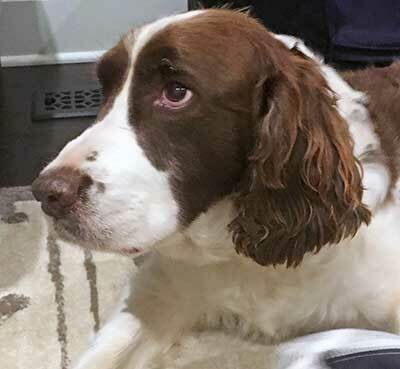 Colonel is a gorgeous liver and white Springer with an adorable crooked blaze. 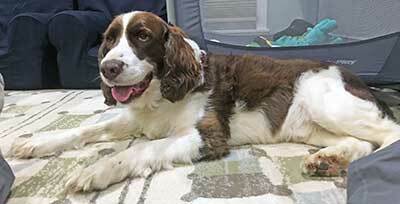 He’s affectionate, loving and an all around cheerful, happy Springer boy. A smart boy, he knows the commands "Sit," "Stay" and "Shake." Colonel loves to play – especially in the water. He’ll play fetch on land or sea but also enjoys his down time napping next to you. He gets along fine with the submissive female doggie sibling in his home but would prefer to be king of his castle. A handsome boy like Colonel deserves to be treated like royalty! He would not be happy living with a cat. He would do best in an adult home since he does not do well with young children. 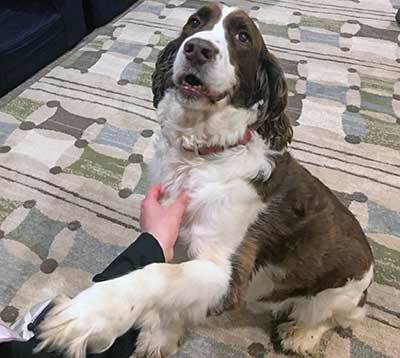 Colonel warms up quickly to new people and loves to be around them. He’s a bit hard of hearing but still knows when that pesky mail person has arrived, as well as that delivery truck. Guess what? He wins every time since they always go away. The next day he gets to do it all over again. Colonel's adopter will gain a loving, loyal companion. 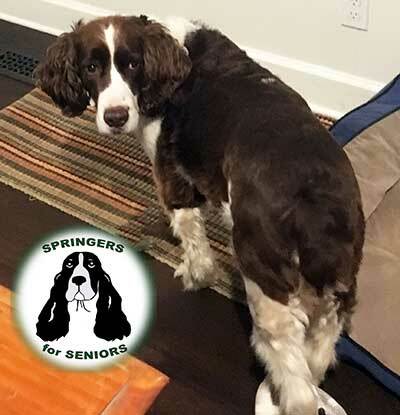 He promises to be the best boy for his adopter and shower you with Springer love!